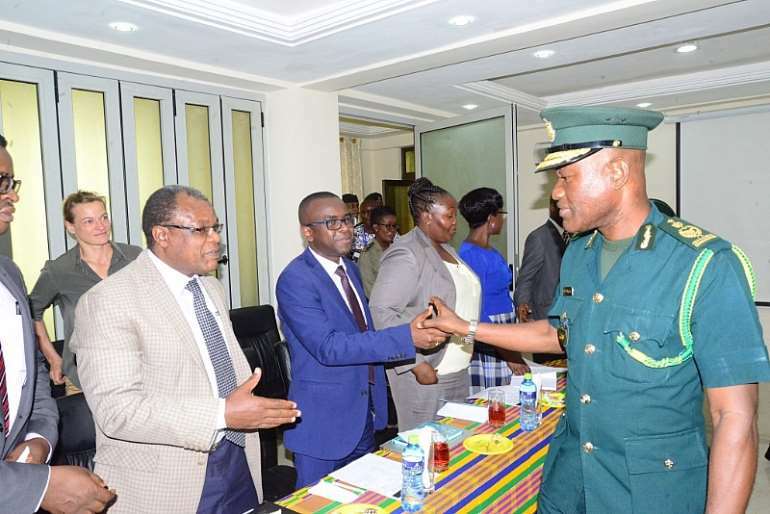 A delegation from Kenya's Department of Immigration Services (KDIS) has rounded up a-four-day working visit to the Ghana Immigration Service (GIS). The visit was to learn at firsthand, the structure, operations and training regime of the GIS and to tap into the Service's wealth of experience to reposition the KDIS. It is expected that a Kenya Migration Institute would be created as a fall out of the visit. 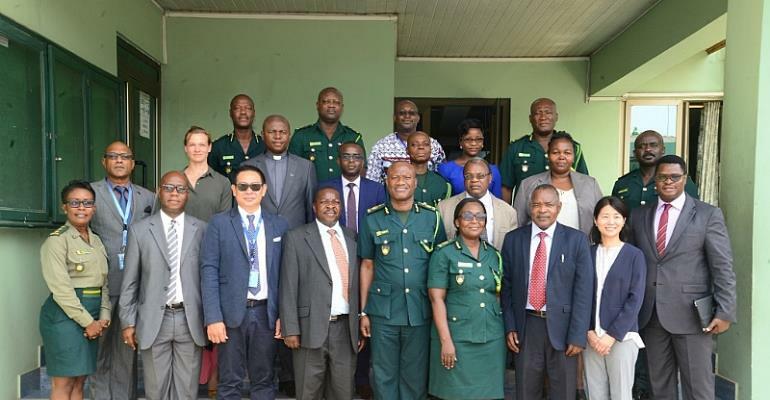 The visit took the officers of the KDIS to the Immigration Service Academy and Training School (ISATS) in Assin Foso, Aflao Sector Command and to the GIS Headquarters where they were taken through operations and command structure of the service. 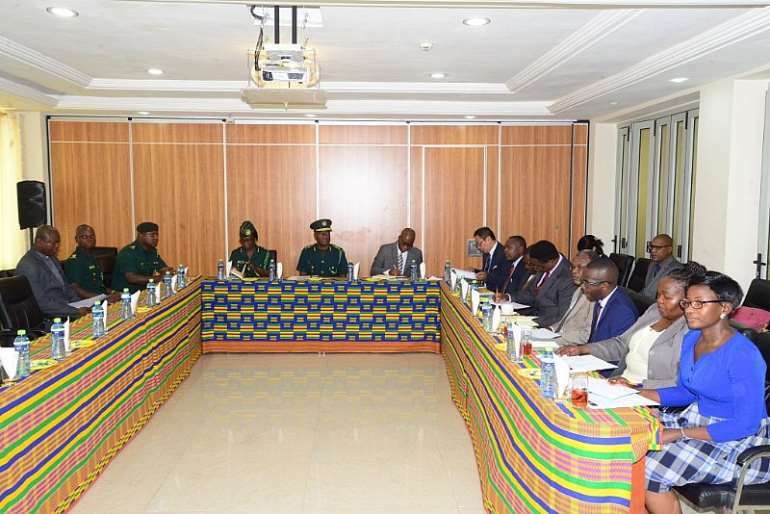 The Comptroller-General of Immigration (CGI), Mr. Kwame Asuah Takyi expressed excitement for hosting the Kenyan delegation and assured them of the Service's readiness to give them the necessary support and guidance in their quest of establishing a Kenya Migration Institute. He, however, noted that the success of their study tour and the implementation of standards and best practices in managing migration in their country largely hinged on the will of the Kenyan government and the institution itself. “Ghana Immigration Service has come a long way. It has taken both the political and institutional will and commitment of the institution and several governments to effect the desired changes” he indicated. He said the visit should be the beginning of effective collaborative efforts at strengthening migration management within the African Region. The Kenyan delegation was led by Deputy Director of KDIS, Mr. Joseph Munywoki.